I’m 26 years old. 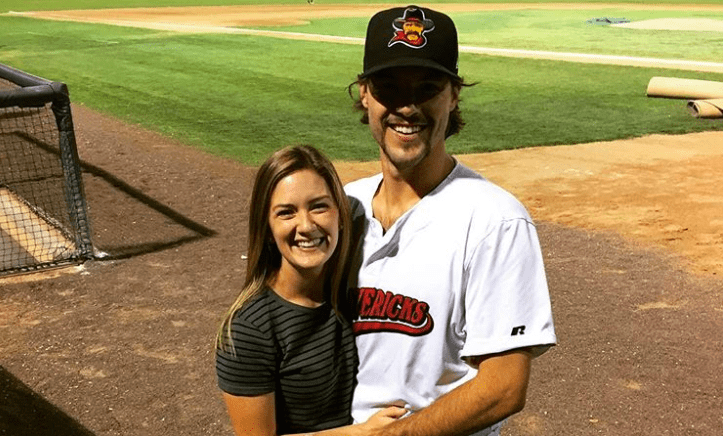 I played through six years in the minor leagues, was sitting at the Triple-A level, and decided it was time for me to step away from the game. I want to be a lot of things in this life. Ever since I was young, I’ve always had a desire to excel at anything I do When you’re a kid, it’s easier to stand out in new sports, new games and new challenges, but as you get older, that’s no longer the case. Things change. People aren’t just good at stuff anymore. It takes much more time, effort, focus and deliberate practice to become great at something. This is especially true in the sports industry. So as time pushed forward, and 10 turned into 16 and 26 into 20 and I was still playing ball, it began consuming everything. No matter what I was doing, it was interpreted to be beneficial to my baseball playing in some capacity. The idea that we can get a little bit better at one thing by approaching it in a million different ways is an incredible thing. Like how football training could help me become stronger and quicker off the mound to get ground balls, but also give me the power to drive hits farther and throw the ball harder. I liked football, but I love baseball. All that extra stuff was just practice and training for becoming better on the diamond. Baseball carried me through a number of different times in my life, both the good and the bad. When things were down, I could always plan on a game being there soon, or a practice, or something where I would have the chance to develop my skills for baseball. One of the most important aspects of growth is personal awareness. What are the things happening around me? Is my work fulfilling? Where am I emotionally, physically and spiritually? These kinds of questions should be revisited on fairly consistent basis to grow effectively. As I sorted through my life and what I hoped for the future, I didn’t see the game of baseball providing me the kind of life or fulfillment I wanted. One of the things I wrestled with most as I decided to step away was that this opportunity was such a short amount of time. There are only so many years you can devote to pursuing a professional sports career — the body can only handle so much! Then there was the understanding that I had put more than five years into minor league baseball — just grinding out a living and now sitting at Triple-A, one step away from The Show, and I was choosing to let that go? How can I do that?! There are no two people on this earth who share the same value for everything in their lives. One man might look at an iPad and have no idea what it is or why it’s shaped the way it is or understand its purpose. Another is striving to find the means to purchase one because he sees the value. Value comes from understanding. Where I’m at in my life and what I want to accomplish just doesn’t have a professional baseball career in it. My goals are different. I have a friend who thinks I’m absolutely crazy for leaving the game. In his mind, how could someone possibly step away from baseball as a career? My answer is easy. What you see on television is what you want to see. I’m living that life on a daily basis with my own worldview and my own childhood memories, principles and values. Your dream is your dream, while my dream is mine. You’re going to think I’m crazy as long as you think that I was living your dream. But that’s just not the case. My desire is more for presence with my family, an urgency to get involved in my community, a will to grow roots and mentor young, ambitious kids and be involved in their lives, and most of all, live a life that is God-honoring and in submission with His Word. So what about life after baseball? It’s a real thing, people. I mean, you’ve literally done this one thing since you were a wee young lad. It’s everything I’ve ever known (or at least it feels that way sometimes). My dad just retired from the company he worked at for 39 years. That’s commitment. He spent his entire career there. I just retired from a sport that I devoted 20 years of my life to. He’s in his early 60s and I’m in my mid-20s. Your “why” is so much more important than your “what,” even though we let that dictate much of our existence. What I do is merely an extension of my efforts. However, who I am and why I do things is immensely more important than what I do because it permeates to all acts of my life. Why cultivates what. Resting in this, I now move forward into the next phase of this life, focused and bold. For now, I want to focus on my marriage, spend time with my family, and develop roots in Indianapolis to make an impact in the community around me. For me, it’s time to be home. I knew this to be true as I considered this question: What is most important in your life? This is a small step for me moving in a direction I believe is best and is aligned with what I find most important in my life. Am I saying everyone should just leave baseball? In no way, shape or form am I saying that. It’s the best sport in the world. But, at this point in my life, it’s no longer the dream I want to chase. My search is to be fulfilled, not merely happy. With happiness, you’re answering questions like, “What do I want?” “What makes me feel good?” “How can I do what feels best all the time?” That kind of search requires a high degree of selfishness. These kinds of answers are found quickly and relatively easy, but often at the expense of fulfillment. Whereas happiness is often me-focused, fulfillment is focused on what you can do for others. Retiring from baseball looked like a mountain. I’d invested time, money, relationships, heartache, pain, struggle, loss and more to climb up the ladder and create opportunity for a big league breakthrough. And I’ll tell you what, those things are what made the experience so much fun and so rewarding. I want challenges. I welcome them. No man ever became great by coasting along and not chasing something he thought was unattainable. I’m not guaranteed tomorrow. And if I really believe that, then I don’t want to be spending the best years of my life chasing my own dreams while I’m neglecting those I love the most. I gave everything I had, and I thank the Texas Rangers for taking a chance on me to make it to The Show. I believe I could play at that level. Every single athlete in the minors (and those looking to get drafted) should believe that. But I also believe there’s a call on my life to grow roots and begin investing my time and energy into the community around me. Every man must take account for his own actions. This one is mine! And now being back in Indy for the past month, I must admit that I’m thrilled I chose retirement. Will I miss good times with the boys? Or the constant banter back and forth between teammates? Or the friendships forged in the minors where we are all in it together? Yes, most definitely I will. But I know those times aren’t wasted. I’ll stay in touch with those who want to stay in touch. Life is about movement and momentum. The same is true of relationships. The ball has begun rolling with many different men I’ve encountered in baseball, and it’s my responsibility to keep that ball rolling. We meet many friends on the road. These are people you see in your workday, in the path as you walk through life, but they never get to the heart. Friends of the heart are those who stick around and make impacts on personal behavior, thought, belief and value. These friends help shape you into who you are, and I’ve had the privilege of meeting many in baseball.